I bought a five-piece starclassic performer at a local shop for $1,687. I wanted to step up from my cheaper kit, I'm glad I did! Later, I ordered a 16 inch floor tom to go with the kit, which I received after about 2 months. I've played maple kits from almost every manufacturer, and this kit beats them all hands down. They are definitely the best drums on the market. They just have so much tone and are so dark and warm sounding, and they have no bad overtones (as with some maple kits). Also, with the 'fast' sizes that I bought, they are very articulate. They sound huge, particularly the bass drum. I wish all the options on the starclassic maple series were available for the performer (sizes, sound focus rings, gold hardware). But, that's how they keep the price down. It's Tama. What else do I have to say? The hardware is particularly nice. These are the best sounding drums on the planet. They aren't quite as 'pretty' as top of the line maple drums, but they far supass maple when it comes to tone, warmth, and articulation. HellInMe's review (This content has been automatically translated from French)" Kit Super powerful!" I therefore used since 2007, repeated weekly and monthly mini concert! I had a crush on the aesthetic side first into the shop window kit Black Gold Glitters, I went I tried, I went home and I returned the next day the store to buy it! It is a very powerful drumkit fairly easy to adjust! I played on skins Evans was fine for G2 Clear and now I'm on the REMO Powerstroke 4 blasted the sound is really clean, warm, everything you need to live! I have since bought a floor tom 18 "and I intend to take a 13-tom" I was at the base 10 ", 12", 16 "22" and 6.5 ". Say that it is an investment but I am not disappointed for sending rock, metal, or even soft it's good. benoit2001's review (This content has been automatically translated from French)" StarClassique model?" So, I bought a secondhand Starclassique in perfect condition. This is my first drumkit. As a good beginning, I knew it was a good drumkit, without inquiring more, I bought (at a good price!). For cons, I wonder aujourd'ui on the exact model. I think it's a Starclassique perform 100% birch. Another question, the drumkit was purchased on rack. And when I tried to stem double tom on KM, hehe tube big enough for the diameter of the base ... t I miss it a room? bigmike6669's review (This content has been automatically translated from French)" The Performer is aptly named!" I use it since I bought it. It is robust and sound (of course depends on the setting you are doing) is beyond my expectations. Please note, I have a model fully birch (the series before bumbingua / work). I tried the PDP, and Pearl before I decide. What I like least, the accessories are relatively expensive. This would have to repeat: I REFERRED's for sure! I play for 5 years on this model, namely since 2005. 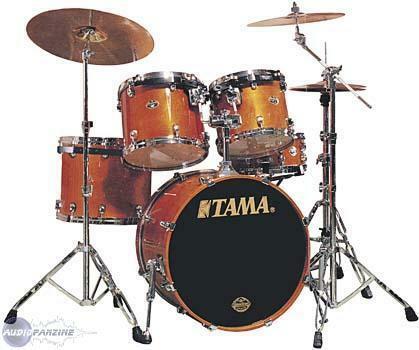 From 1998 to 2005, I played on a Tama Rockstar 1997 model. I had the opportunity to play on entries range from Yamaha and Mapex but I do not remember the models. The only thing I have learned is that my Rockstar sounded better, more punchy than the Yamaha and Mapex well but the skins were not quite granted. There are simply a world in between! All this is quite subjective and depends on lots of parameters, including skins, sticks and drummer. With the original skin, the sound is really good! It is unnecessary to change them after buying the drumkit and that's a huge plus for the budget Hardware: 180-200 euros. The sound is close to the mid / lower midrange while being polished. and Tama PK20 (or equivalent) for the bass drum are very efficient and does not kill too much sound quality or the potato. A flattering item with this drumkit is its power crazy! The Toms and Toms Bass rack version for my part, are alive, it sings, good projection and is a feast for the ears! The bass drum sound really huge and very powerful. This is the highlight of the kit. But not easy to find its tuning from the start with the skin and Evans EQ4 snare Tama. The snare, the only weak point but that does not demerit. The ghost notes are returned with an interesting volume with quality wooden birch. She lives, reacted well to the nuances of the game, with a tone wood evolving rather nicely. With a change of skin and a good job on the tuning, I managed to make me happy. I started a CS Countrolled REMO Sound hits and a REMO Ambassador in timbre. Tuning: taut skin typing and skin trimbre slightly less tense. And there, it did have anything ... but it remains below the snare separately purchased kit. Fortunately for them, bad for us but it is a good snare drum. It is simply beautiful with the wood grain underneath. Euro 1749 without accessories in 2005. So yes, this may seem expensive but the quality and benefits of a professional drumkit. 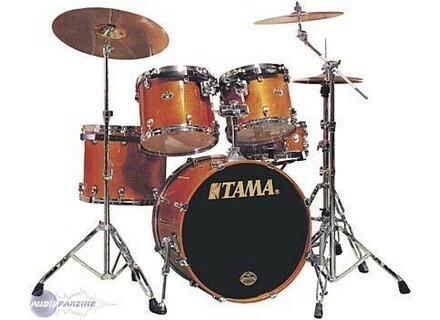 Note that before, it was the first step in the Premium Tama Starclassic Maple and before replacing the range Artstar.